When it comes to residential care, complacency isn’t an option. It’s vital that facilities are well-maintained, safe, and consistently delivering on your brand promise. Without professional facilities management software, you are left dealing with critical issues, chasing suppliers and updating paperwork or spreadsheets. 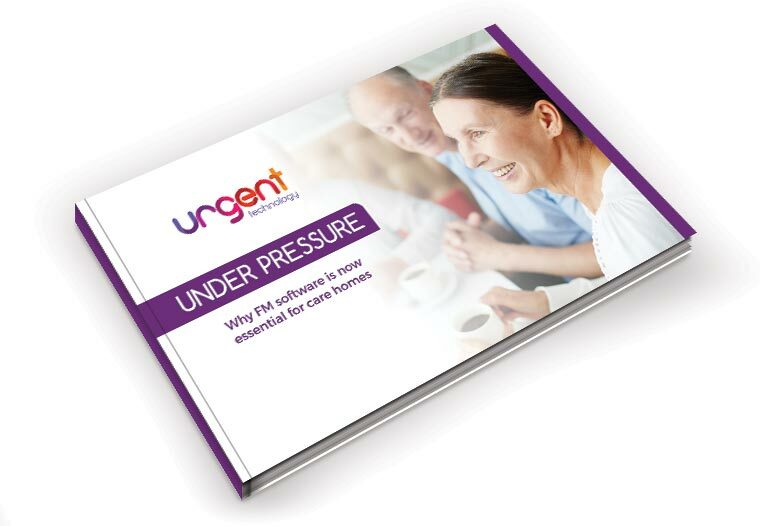 This eBook outlines the case for professional FM software and the benefits it can bring to the care home sector. Actionable business intelligence - replace outdated spreadsheets with more accurate data for informed decision making. Preventative and proactive maintenance - identify issues, reduce downtime, and improve resident safety. Improve supplier management by monitoring performance against service agreements. Easily demonstrate compliance with up to date and accurate records stored in one central location. Connected and in the cloud for more effective management whenever and wherever you need it. “The system drives the way maintenance tasks are handled, resulting in a reduction in the time taken to process jobs and the cost of repairs."